Skin Cancer Awareness Month—Are YOU Checking for Signs? Skin Cancer Awareness Month-Are YOU Checking for Signs? Well my friends, May is national skin cancer awareness month. 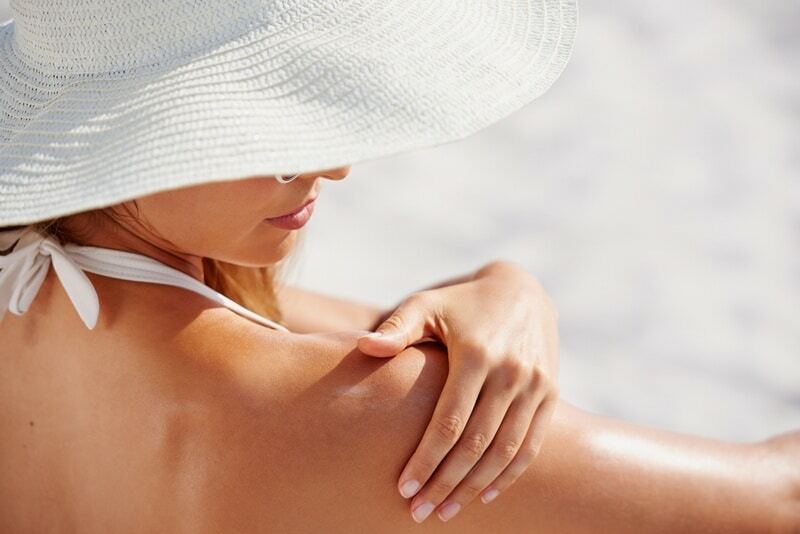 It’s time to remind ourselves about the importance of protecting our skin from the sun. According to the Melanoma Foundation, about one in five Americans will develop skin cancer in their lifetime. Melanoma is the most serious type of skin cancer, and affects about one percent-but it’s also responsible for the majority of skin cancer deaths, killing about one person every hour. The American Cancer Society estimates that about 76,000 new melanoma cases will be diagnosed in 2016, with about 10,000 people expected to die from it. Unfortunately, those numbers reflect a rising rate, with rates gradually increasing over the past 30 years. I don’t want any of you to suffer this fate, so let’s review the steps we need to take to protect ourselves, and what signs to look for so we can all catch any potential cancerous areas early, while they’re still highly treatable. Skin cancer is one of the most preventable types of cancer. It’s caused by exposure to ultraviolet (UV) rays, so shielding the skin from the sun keeps it safe. It can also be caused by tanning booths and sun lamps (please stay away!). You’ve heard that you should check your skin regularly, but the truth is that many of us don’t. The AAD noted in 2015 that 51 percent of men and 35 percent of women didn’t know how to examine their skin for signs of cancer. Only half said they perform self-exams at least once a year. Regularly examining your skin is half the battle. The other half is prevention. We know more about protecting our skin these days than ever before, so it’s a little confusing that the rates of skin cancer continue to climb. Even if you don’t have these risk factors, however, exposure to UV rays makes you vulnerable to skin cancer. Dark skins may be less likely to develop the disease than light skins, but dark skins are also more likely to develop serious melanoma. So take steps every day to reduce your risk. Stay in the shade during the midday hours. Use clothing and umbrellas to protect yourself. Use sunscreen with an SPF of 30 or higher (zinc oxide is best)-don’t forget to reapply every two hours or immediately after swimming or sweating. Eat lots of fruits and veggies-they contain antioxidants that help reduce the risk of cancer. Coffee and green tea have also been found in some studies to help reduce the risk of melanoma, because of their antioxidants. Be aware that some medications make you more sensitive to the sun-things like antibiotics, antidepressants, diuretics, non-steroidal anti-inflammatory drugs (NSAIDS like ibuprofen and naproxen), and even benzoyl peroxide. Always use extra caution when taking medications. Regularly eat foods high in vitamin C, which is known to help fight cancer. Reduce stress! It’s a risk factor for all sorts of cancers, including skin. Do you regularly check your skin for signs of cancer? Please share any tips you may have with our readers. “American Academy of Dermatology Asks, ‘Who’s Got Your Back?’” [Press Release], May 4, 2015, http://www.pwrnewmedia.com/2015/aad/spot_skin_cancer/index.html. A Walk Down Memory Lane…and a Hearty “Thank You” to Our Supporters!